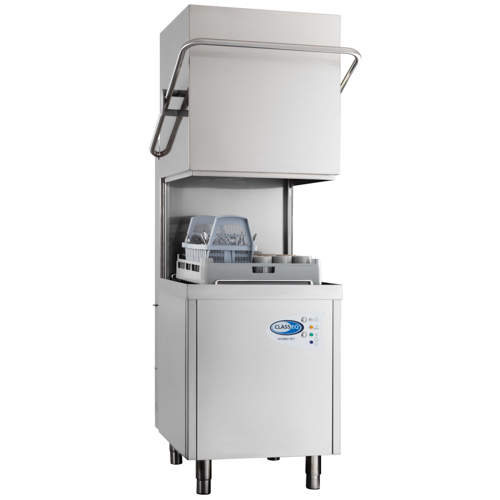 The Classeq Hydro 957A Pass Through Dishwasher is easy cleaning due to the continuous hood clean and the removable front panel allows simple service access. Includes Drain pump and optional rinse pump, detergent pumps and WRAS approved Air gap. Product Type Pass Through Dishwashers. H957A DET/ H957A DET WS. Dimensions 630(W) x 720(D) x 1520/1940(H)mm. Electrical loading 9.48 kW – 17 amps 3 phase only. Cycle time 1 1/2 or 3 minutes.